مطالعات نشان می دهد، تکنیک ترمیم فتق عاری از کشش (Tension Free) با استفاده از مش، در مقایسه با تکنیک های متداول بخیه ترمیم فتق ( Tension Repair), خطر عود فتق را کاهش می دهد . تکنیک عاری از کشش، شامل جایگذاری و فیکس کردن مش مطابق با استاندارد های جراحی می باشد.کاربرد مش به تنهایی (بدون استفاده از فیکس کننده) ممکن است همراه با معایبی مانند مشکل در جایگذاری مش و اجبار جراح به برش های بافتی بیشتر جهت جایگذاری، باشد. برخی از مش های غیر قابل جذب توسط بافت اسکار احاطه شده و باعث عدم انعطاف پذیری در دیواره شکمی شوند که در نهایت منجر به ایجاد درد در بیمار می شود. فیزیومش مش کامپوزیتی-ترکیبی از پرولین و مونوکریل- وانعطاف پذیر کمپانی اتیکون، که به منظور ترمیم فتق های شکمی طراحی گردیده است. 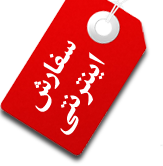 این مش از لحاظ فیزیولوژیکی مطابق با آناتومی بدن بیمار طراحی گردیده است [7-2]. شفافیت مش باعث می گردد، آناتومی دیواره شکمی از پشت فیزیومش اتیکون قابل مشاهده باشد. مارکرهای قابل جذب از جنس پلیمر پلی گلیکاپرون25(MONOCRYL) در طرفین مش به منظور راهنمایی جراح در جایگذاری آن تعبیه شده اند. شکل پذیری بالای فیزیومش پس از قرارگیری روی سطح دیواره شکمی، باعث سهولت در کاربرد آن گردیده است [2و4]. - استحکام و ایمنی بیشتر بخیه های منقطع ( Interrupted suturing ) را فراهم می سازد [9و 17-11]. - موثر و کارا تر در بستن بخیه های ممتد (Continuous suturing ) در مقایسه با نخ های جراحی معمول[9و 17-11]. • جلوگیری از کلونیزه شدن وتجمع عوامل پاتوژن در اطراف نخ که اغلب باعفونت های محل جراحی(SSI) توام می باشد [20-18]. 1. Sanjay, P., Reid, T.D., Davies, E.L., Arumugam, P.J., Woodward, A. Retrospective comparison of mesh and sutured repair for umbilical Hernia (2005) 9:248-251. 3. Cobb WS, Kercher KW, Heniford BT. The argument for lightweight polypropylene mesh in hernia repair. Surg Innov. 2005;12:63-69. 4. 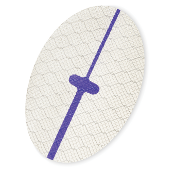 Ethicon Physiomesh Flexible Composite Mesh, Instructions for Use. March, 2010. 5. Förstemann T, Trzewik J, Holste J, et al. Forces and deformations of the abdominal wall—a mechanical and geometrical approach to the linea alba. Preprint. Feb 15, 2010. 6. Junge K, Klinge U, Prescher A, et al. Elasticity of the anterior abdominal wall and impact for reparation of incisional hernias using mesh implants. Hernia. 2001; 5:113-118. 8. Bh e S, Rothenburger S, Spangler DJ, Dito M. In vitro assessment of microbial barrier properties of Dermabond Topical Skin Adhesive. Surg Infect (Larchmt). 2002;3(3):251-257. 11. Eickmann T, Quane E. Total knee arthroplasty closure with barbed sutures. J Knee Surg. 2010;23(3):163-167. 12. Einarsson JI, Chavan NR, Suzuki Y, Jonsdottir G, Vellinga TT, Greenberg JA. Use of bidirectional barbed suture in laparoscopic myomectomy: evaluation of perioperative outcomes, safety, and efficacy. J Minim Invasive Gynecol. 2011;18(1):92-95. 13. Levine BR, Ting N, Della Valle CJ. Use of a barbed suture in the closure of hip and knee arthroplasty wounds. Orthopedics. 2011;34(9):e473-e475. doi: 10.3928/01477447-20110714-35. 14. Moran ME, Marsh C, Perrotti M. Bidirectional-barbed sutured knotless running anastomosis v classic Van Velthoven suturing in a model system. J Endourol. 2007;21(10):1175-1178. 15. Rodeheaver GT, Pineros-Fernandez A, Salopek LS, et al. Barbed sutures for wound closure: in vivo wound security, tissue compatibility and cosmesis measurements. In: Transactions from the 30th Annual Meeting of the Society for Biomaterials; Mount Laurel, NJ; p. 232. 16. Vakil JJ, O'Reilly MP, Sutter EG, Mears SC, Belkoff SM, Khanuja HS. Knee arthrotomy repair with a continuous barbed suture: a biomechanical study. J Arthroplasty. 2011;26(5):710-713. 17. Warner JP, Gutowski KA. Abdominoplasty with progressive tension closure using a barbed suture technique. Aesthet Surg J. 2009;29(3):221-225. 18. Ming X, Rothenburger S, Nichols MM. In vivo and invitro antibacterial efficacy of PDS Plus (polidioxanone with triclosan) suture. Surg Infect. 2008;9(4):451-457. 19. Ming X, Rothenburger S, Yang D. In vitro antibacterial efficacy of Monocryl Plus Antibacterial Suture (poligelcaprone 25 with triclosan). Surg Infect. 2007;8(2):201-207. 20. Rothenburger S, Spangler D, Bh e S, Burkley D. In vitro antimicrobial evaluation of coated Vicryl Plus Antibacterial Suture (coated polyglactin 910 with triclosan) using zone of inhibition assays. Surg Infect. 2002;3(suppl):S79-S87.